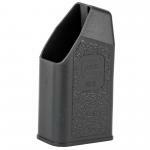 Factory original Glock 43 6rd 9mm Magazines. These are all new mags and the lattest generation. All are metal lined, drop free and will work with ambi magazine releases. Flush fit magazine.